Prone to magical thinking, the narcissist is deeply convinced of the transcendental meaning of his life. He fervently believes in his own uniqueness and "mission". He constantly searches for clues regarding the hidden - though inevitable - meaning of his personal life. 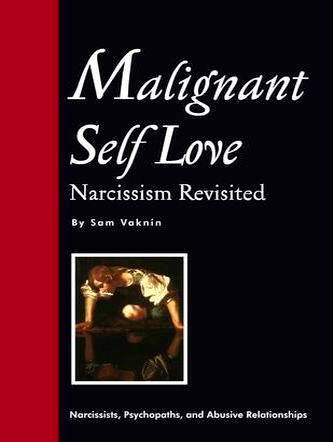 The narcissist is forever a "public persona", even when alone, in the confines of his bedroom. His every move, his every act, his every decision and every scribbling is of momentous consequence. The narcissist often documents his life with vigil, for the benefit of future biographers. His every utterance and shred of correspondence are carefully orchestrated as befitting a historical figure of import. This grandiose background leads to an exaggerated sense of entitlement. The narcissist feels that he is worthy of special and immediate treatment by the most qualified. His time is too precious to be wasted by bureaucratic trifles, misunderstandings, underlings, and social conventions. His mission is urgent. Other people are expected both to share the narcissist's self-assessment - and to behave accordingly: to accommodate his needs, instantly comply with his wishes, and succumb to his whims. Still, it is not always possible to express naked aggression. Many cultures frown on directness and encourage white lies – or outright deception - in order to avoid or mitigate conflict. “Straight talk” may be dangerous, or counterproductive, or plain silly. Even the narcissist cannot attack his boss, or a policeman, or the neighbourhood bully with impunity. So, the narcissist's aggression wears many forms. The narcissist suddenly becomes brutally "honest", or bitingly "humorous", or smotheringly "helpful", or sexually "experimental", or socially "reclusive", or behaviourally "different", or find yet another way to express his scathing and repressed hostility. He often labels such thinly disguised aggression: “tough love”. The narcissist's favourite sadistic cocktail is brutal honesty coupled with "helpful advice" and "concern" for the welfare of the person attacked. The narcissist blurts out - often unprovoked - hurtful observations. These statements are invariably couched in a socially impeccable context. Akin to "anger management", the sadistic narcissist also requires "truth management" to teach him how to contain his impulsive and offensive "honesty" and "directness". For instance, "Do you know you have a bad breath? You will be much more popular if you treated it", "You are really too fat, you should take care of yourself, you are not young, you know, who knows what this is doing to your heart", "These clothes do not complement you. Let me give you the name of my tailor...", "You are behaving very strangely lately, I think that talk therapy combined with medication may do wonders", and so on. The misanthropic and schizoid narcissist at once becomes sociable and friendly when he spots an opportunity to hurt or to avenge. He then resorts to humour - black, thwarted, poignant, biting, sharpened and agonizing. Thinly disguises barbs follow thinly disguised threats cloaked in "jokes" or "humorous anecdotes". Another favourite trick is to harp on the insecurities, fears, weaknesses, and deficiencies of the target of aggression. If married to a jealous spouse, the narcissist emphasizes his newfound promiscuity and need to experiment sexually. If his business partner has been traumatized by a previous insolvency, the narcissist berates him for being too cautious or insufficiently entrepreneurial while forcing the partnership to assume outlandish and speculative business risks. If co-habiting with a gregarious mate, the narcissist acts the recluse, the hermit, the social misfit, or the misunderstood visionary - thus forcing the partner to give up her social life.